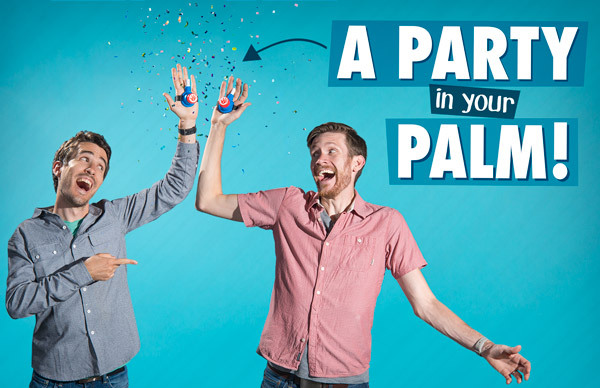 Confetti High-Fives: Make your high fives even awesomer. High fives: the time-honored way for one human being to say to another, “hey, that was pretty cool!” Confetti High-Fives turn this fun tradition into a spectacular celebration. To make your hand slaps more memorable, use the velcro strap to fix the plastic button to your palm and load in one of the six included confetti cartridges. 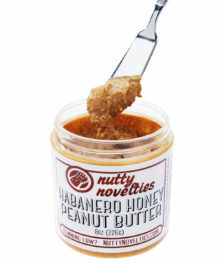 Then when something awesome happens, slap some skin and watch the show. The button shoots a jet of air through the cartridge to release the confetti, giving you a colorful accent to your joint jubilation. High fives are all about celebration, and confetti is like the seasoning to a celebration. 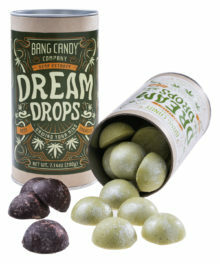 Use Confetti High-Fives to make your high fives an explosion of “Woo!”. It’s perfect for big events like births and graduations. You’ll also want to have one ready for life’s small achievements like hitting your exact data limit and picking the perfect avocado. With a fun high five on hand, you’ll start finding reasons to celebrate. No one will leave you hanging when you’re wearing this thing. Using Confetti High-Fives is like throwing yourself a little parade. To get your magnificent high five started, load in one of the cartridges which are packed full of small pieces of colored confetti. 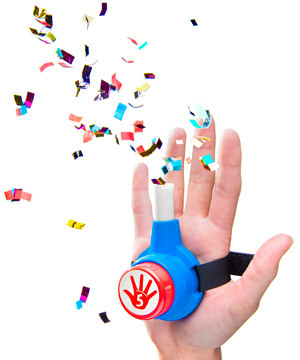 Use the adjustable velcro strap to fit your Confetti High-Fives shooter to your palm so that the button is facing out. 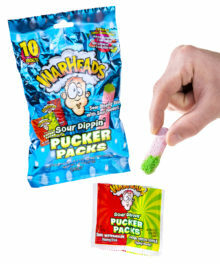 Then any up top or down low slap will push air up into the cartridge, causing the colorful confetti to shoot out the top. If it’s worth high fiving over, it’s worth doing it right. Life is full of unexpected awesome moments, so it’s important to always have a celebration ready to go. 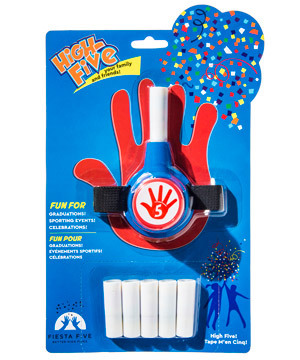 The Confetti High-Fives kit includes six cartridges for your hand-slapping pleasure. Make sure to also pick up a 10-cartridge refill pack so you can keep going up top and down low. 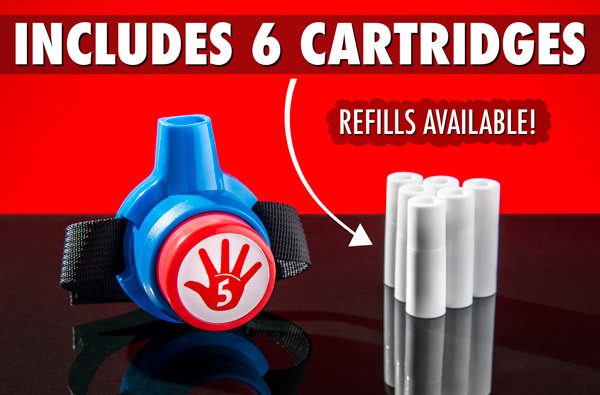 Use the six included cartridges and buy a 10-cartridge refill pack. Question: Can you refill the cartridges? 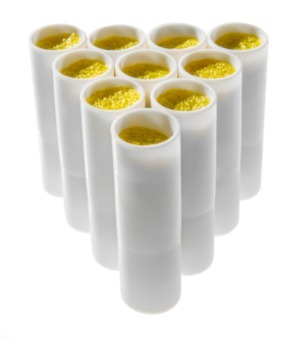 Answer: Each Confetti High-Fives cartridge is single use and is not designed to be refilled. There are extra cartridges available to purchase if you need more celebration ammo. Question: Can you shoot other stuff out of the shooter? 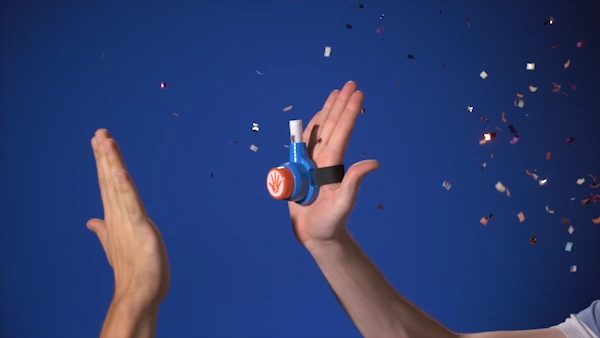 Answer: The Confetti High-Five shooter is really only designed for the included cartridges. 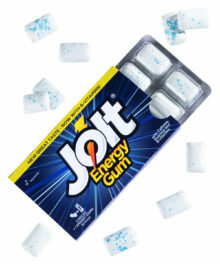 Even if you were to put something else in there, the small air generated by the button wouldn’t shoot much. Question: Is this hard to clean up? 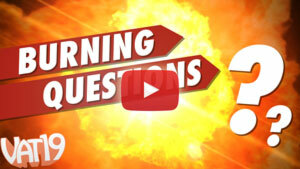 Answer: The shooter expels enough confetti to feel like a celebration but not enough to make a huge mess. As long as you have a broom or vacuum handy, you should be fine.